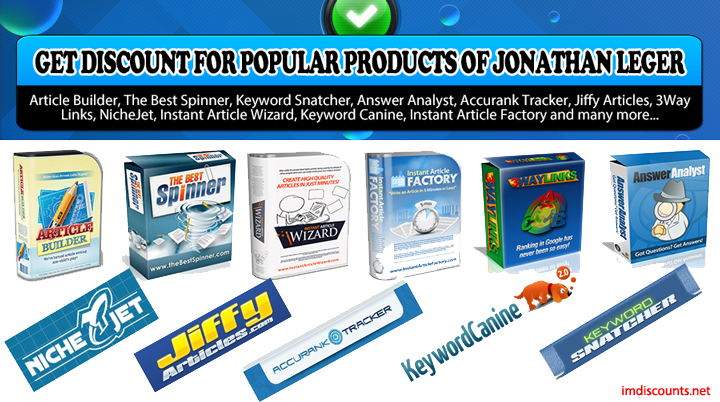 The ultimate niche market keyword research tool. Create content faster than you dreamed possible! The ultimate content generation tool. The absolute best content spinner available on the web! Write high quality articles in 5 minutes or less every time! The most accurate Search Engine Rank Tracker on the market! We do the keyword research, site building and SEO so you don't have to! Write quality content faster than you dreamed possible with this advanced template system. Increase search engine rankings by automatically growing your site's link popularity. Create high quality articles on virtually any subject in less than 15 minutes! Find highly profitable niches instantly and do precise competition analysis on any keyword, do comprehensive backlink analysis on your competition or phrase with the click of a button. RankCrew is an affordable, POWERFUL SEO service, engineered by one of the most respected names in SEO, Jonathan Leger, and manned by a team of veteran, highly motivated SEO Experts trained to obtain top 10 rankings with the most modern and effective link building techniques. Content Ferret is a tool with a massive database of articles that makes it incredible fast and easy to research many popular topics when writing your own articles. It can save you hours of work every time you use it by seriously simplifying and speeding up the tedious task of doing article research. One Response to "Jonathan Leger Products"